It is with heavy hearts we announce the passing of our beloved husband, dad, grandpa and opa. On August 6, 2011 at 6:45 pm he went to be with his lord, at the age of 70. Jack will be lovingly remembered by his wife Jo-Anne of 47 years; his daughter Trish; his sons: Ray (Lidea), Curt (Sue), Duane (Jody) and his ten grandchildren: Donovan, Brandon, Holly, Micaela, Rachel, Ryan, Shannon, Abby, Jacob and Yohanna. 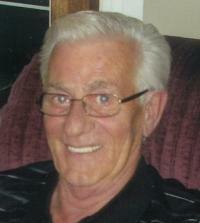 Friends who wish to pay their last respects, may do so at Foster and McGarvey Funeral Home, 10011 – 114 Street, Edmonton on August 11, 2011 from 6:00 pm - 8:00 pm. A Graveside Service will be held at Westlawn Memorial Gardens, 10132 – 163 Street, Edmonton on Friday, August 12, 2011 at 10:00 am. A Memorial Service will be held at Foster and McGarvey Funeral Home on Friday, August 12, 2011 at 11:00 am with Reverend Gordon Pols officiating. In memory of Jack, donations may be made to: the Heart and Stroke Foundation of Alberta, 100 – 119 14th Street NW, Calgary,AB T2N 1Z6.